Phish debut; with Dave Matthews Band. 2001 contained Flash Light teases. Chameleon was teased in Suzy. Foreplay/Long Time was performed acoustic. The encore featured the first Phish performance of The Maker with a Dave Matthews Band guest appearance. Carter Beauford appeared on stage with Fish during the preceding jam. The opening act was Dave Matthews Band. One Saturday evening on the 15th of October in 1994, Phish took the stage following the opening act of the Dave Matthews Band. The first set opens with a nostalgic Wilson due to the absence of crowd participation during the song's initial section. Little did the Alabama concert goers realize that the group evolving before them would have a combined net worth of over $230 Million within a few years. Wilson segues into Sparkle which moves into Simple which in turn develops into a nice version of Maze. At this point, the first set is throbbing with an intense "type 1" jamming style which reverberates off Red Mountain in north-central Alabama. Phish then metaphorically welcomes the crowd to the show with a cool version of Glide. Reba includes another nice jam before melting into a Disease. Disease delivers even more of the "type 1" experience before segueing into Golgi. This interesting version of Golgi features extensive volume dynamics from Trey just prior to the piece's climactic ending which also serves as an exclamation point to the end of the first set. Trey thanks the audience and assures the patrons that his band will return shortly. After a much needed breath of fresh air, the band returns to the stage for the second set at Oak Mountain where the Pelham sun has dipped well beyond the reaches of the horizon. The band begins constructing abstract musical movements that continue for an extended period of time at the request of Jon Fishman. This entrancing movement serves as the opening portion of 2001 before the drums kick in. The set opening 2001 includes a tasteful blues & funk infused jam section. 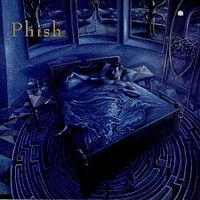 The band then segues into Jim which itself contains another musical exploration by Phish into an interesting and spacey tangent. Phish then gets the blood flowing with a Haley's Comet that quickly escalates and revisits additional "type 1" jamming that was exuded in the first set. Trey is basically on fire at this point as he steamrolls a path for the group into Mule. It is now time for Page McConnell to leave his mark on this show. The final segment of Mule is closed with Page's inspired trance-type jamming. After the Russian lullaby that is the end of Mule, Trey begins arpeggiating the first notes to YEM. YEM continues on a clean path until the funky release following the tension from the build up of the song's middle section. This release packs a punch that reminds the crowd why they have all congregated together on this fall night in the deep south. Page refusing to step down takes 2 rounds of soloing during the funky section of YEM before the band enters a vocal jam. 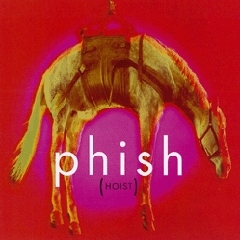 This vocal jam acquires a unique form when it moves into Catapult before twisting back into a YEM finishing vocal jam that could make the hairs on the neck of any veteran Phish fan stand straight up. Following all of the YEM chaos the band reminds the spectators that all is OK with a beautiful a-cappella version of Amazing Grace. In an amazing turn of events, the band adds a banjo to the mix and performs a breathtaking acoustic version of Boston's Foreplay/Long Time. Who are these guys again and what galaxy are they from? As if the audience required anything else, the members of Phish return to their principal instruments and proceed to continue on with a straightforward Bouncing 'Round which in turn gets the heads bobbing once again. The band moves swiftly from the conclusion of Bouncing into a rocking Suzy full of energy to end the set. Phish returns to the stage to perform an encore, but this encore is one unlike any others. To initiate the encore, Carter Beauford performs a Buddy Rich-esque Drums, which is a Phish rarity, with Jon Fishman. 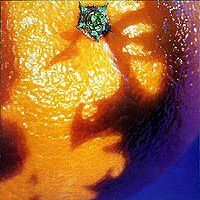 The vibrant drum solo is capped off with the members of Phish and the Dave Matthews Band entering into a raw jam that eventually decomposes into The Maker. The Maker, a Phish debut, concludes the encore and this the show itself. Who would have imagined that the same area mined by Birmingham's Sloss Furnace in the late 1800's would become the canvas upon which Phish would paint a brilliant musical masterpiece? Regardless, they opened with Wilson, and did a YEM->Catapult->YEM in the 2nd set. And again, I had lots of ganja. So yeah, it was a damn good night! 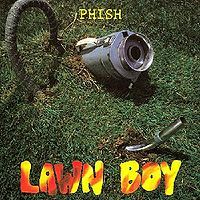 Second sets opens with a classic 2001 that features some extra mustard in some of the improved sections and sounds very fresh. The Jim extends itself (just a bit) outside its realm and Halley's is a welcomed precursor to SOAMule. The YEM is a fantastic version complete with Catapult and an excellent jam with a really cool bass/drum solo and vocal jam. This YEM has a lot to offer and is easily the highlight of the set. The set continues with a predictable Foreplay/Longtime and ends perfectly with a Bouncin' and Suzy. With all the DMB hate that flies around here, I really liked the encore with the drums jam and the debut of The Maker, it made for a great combo to end the night on. Great show. First set is succinct and tasty. 2001 is a common second set opener at this time, and YEM->Catapult->YEM is interesting. I don't care what anyone else says, but The Maker is one of the best songs written in the 1980s if not all time. A true masterpiece. I wish this could get played again.